Vitamin B12 or cobalamin has been linked to the health of red blood cells and nerve transmitters. This vitamin supports myelin-the fatty stuff that covers our nerves and enables us to send messages between nerve cells. Nerve messages make it possible for us to see, hear, think, move, and do all the things we do on a day-to-day bases. Thank goodness vitamin B12 is there to keep the nerves from being damaged! Vitamin B12 has become known as the "energy vitamin." It is often used in energy supplements and energy drinks because it has a proven track record of increasing energy. It makes you feel good and makes you want to move without the nervous-shaky side effects that often accompany other energy enhancers. Vitamin B12 is found in animal-based foods, such as eggs, dairy products, meats and fish. Grains do not naturally contain vitamin B12, but is often added to grain products. Toxicity of vitamin B12 is highly unlikely. People actually report feeling improved energy when taking higher than recommend doses. A mild vitamin B12 deficiency can lead to symptoms such as fatigue, depression and poor memory. A more severe vitamin B12 deficiency can cause severe and irreversible damage to the brain and nervous system. Vitamin B12 deficiency disease is called pernicious anemia or biermer's disease. Many clinics use vitamin b12 shots for a wide variety of reasons that affect energy levels and weight, or just to help people maintain a high level of health. The vitamin B12 shot has been in use for quite a few years. Eating the right foods is a great way to get your vitamins, however; a large amount of food is often required to get a sufficient amount of vitamins, including vitamin B12. The B12 shot is a way to get an increased amount of B12. The b12 shots are small and rather painless and can be given in the arm or in the buttocks :). One common effect of the shot is that people report being in a better mood and smiling more often. B12 shots are not to be taken everyday. The average person can go one to two weeks between shots. This type of supplementing can be expensive. It can be quite pricey to visit a health clinic and pay for weekly or biweekly B12 shots. 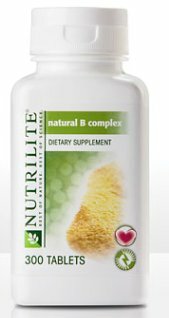 I would suggest sticking to a vitamin B-complex supplement which is effective and less expensive. Vitamin B12 shots can easily be found over the internet. However, I strongly suggest not buying them through an internet source. You never know what you are getting and there are a lot of "fakes" out there that are not delivering pure vitamin B12 like they promise. If you are going to take B-12 shots, stick with a health clinic. Many people believe that vitamin B12 causes weight loss. That is not true. Vitamin B12 does not cause weight loss, however; it does speed up the metabolism. This is especially effective for those people who have sluggish metabolisms. Vitamin B12 also provides the nutrients that the body needs so that craving become few and far in between. This is key in any weight loss program. This can also be done with a good multivitamin. When your body is receiving the nutrients it needs to support itself, then cravings are easily diminished. So before going to get expensive vitamin B12 shots, try a good quality multivitamin first. The most common side effect of vitamin B12 injections is discomfort at the injection site. This can be easily handled with over-the-counter pain medication. Other common, but generally mild, side effects include diarrhea, nausea, headaches, and joint pain.